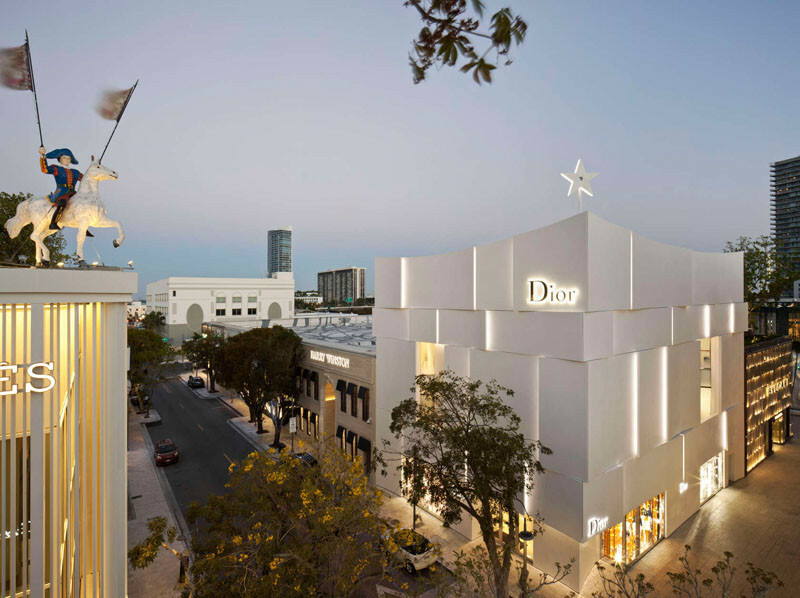 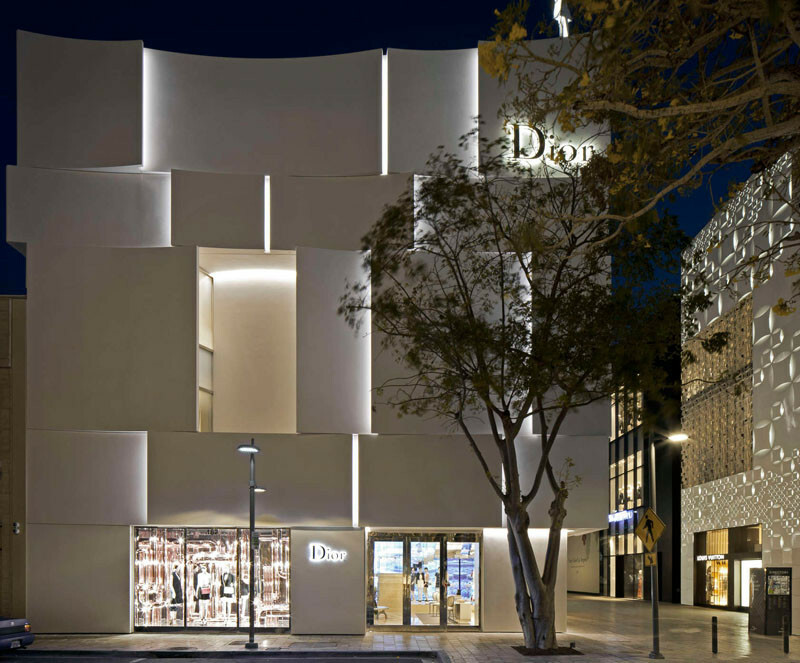 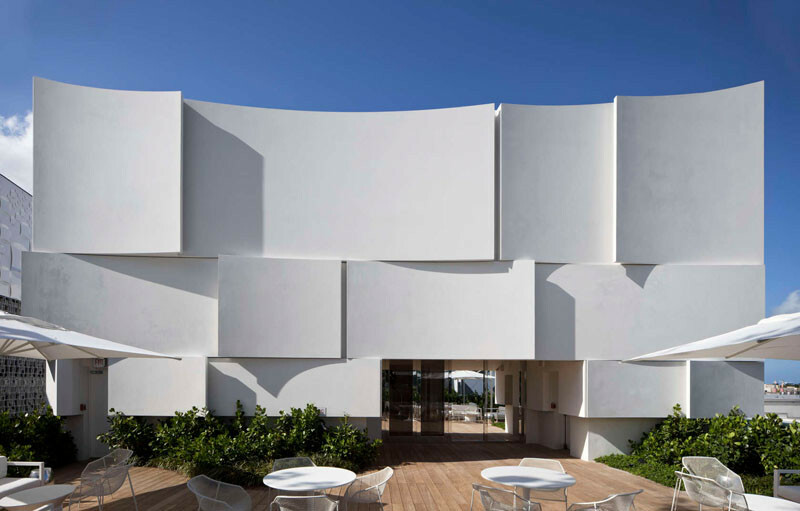 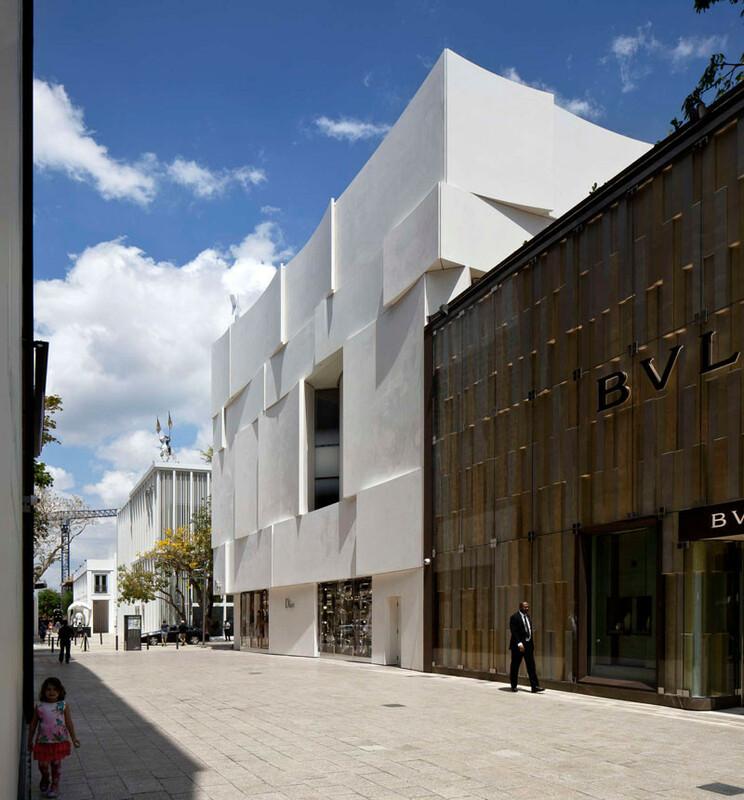 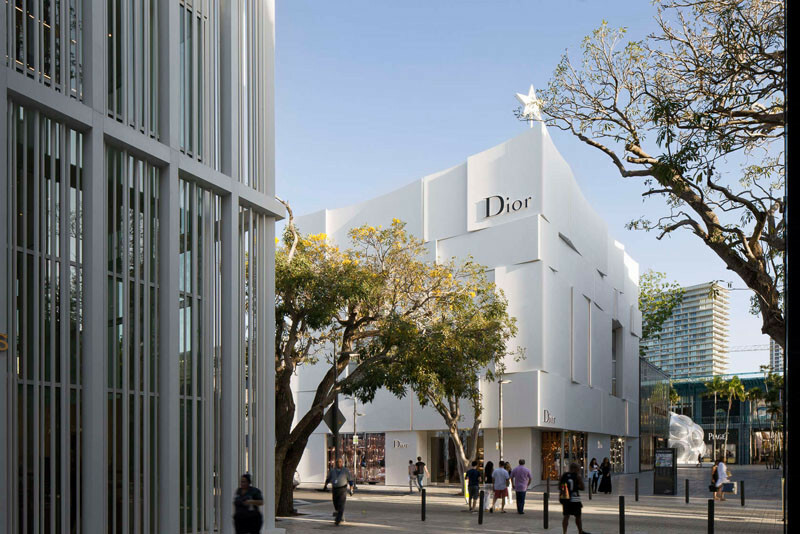 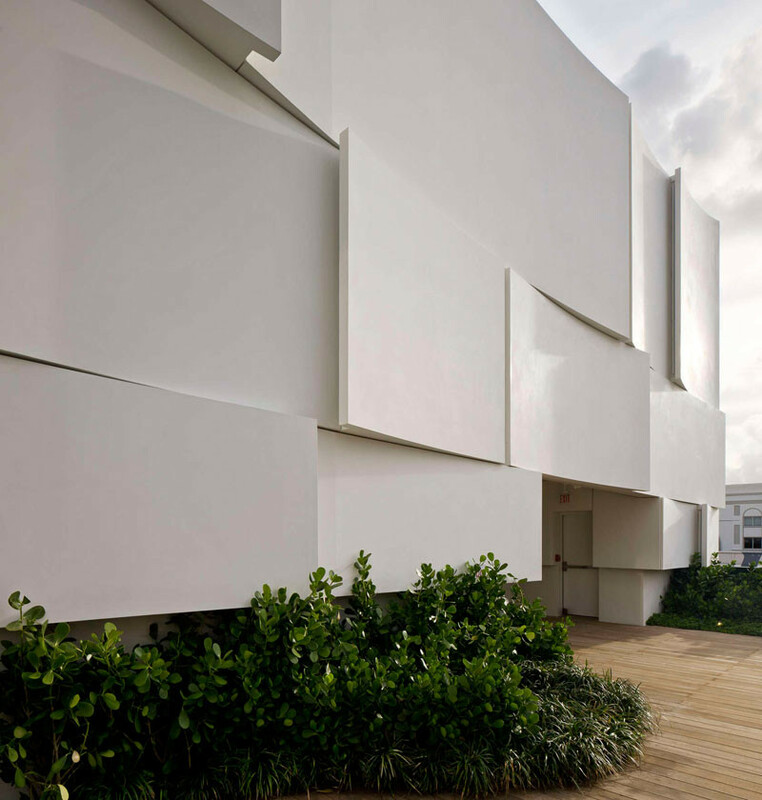 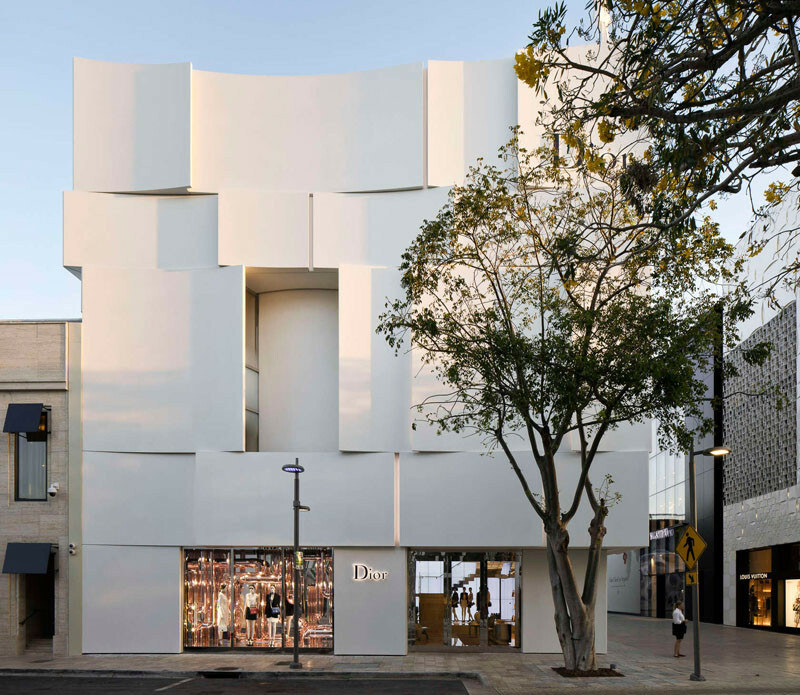 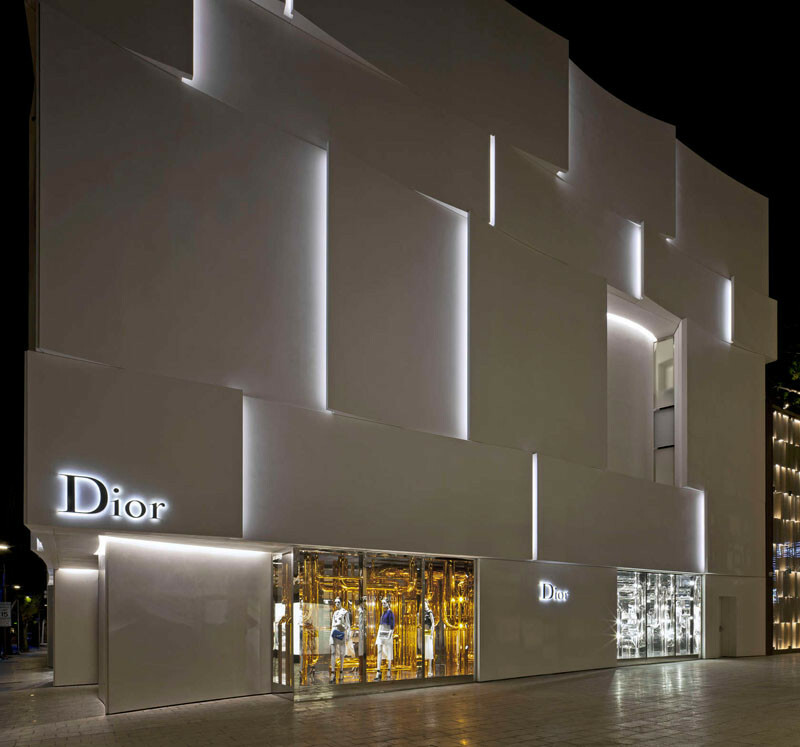 Commissioned by French luxury goods company Dior, architecture firm Barbarito Bancel Architects was asked to design a building for their new boutique in Miami, Florida. 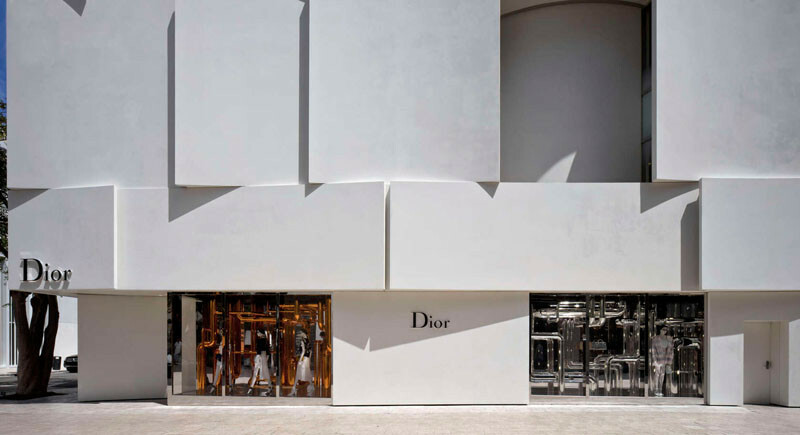 Haute Couture and architecture merge together in the design of the facade, with its curved panels, that have been inspired by the pleats found in skirts and dresses. 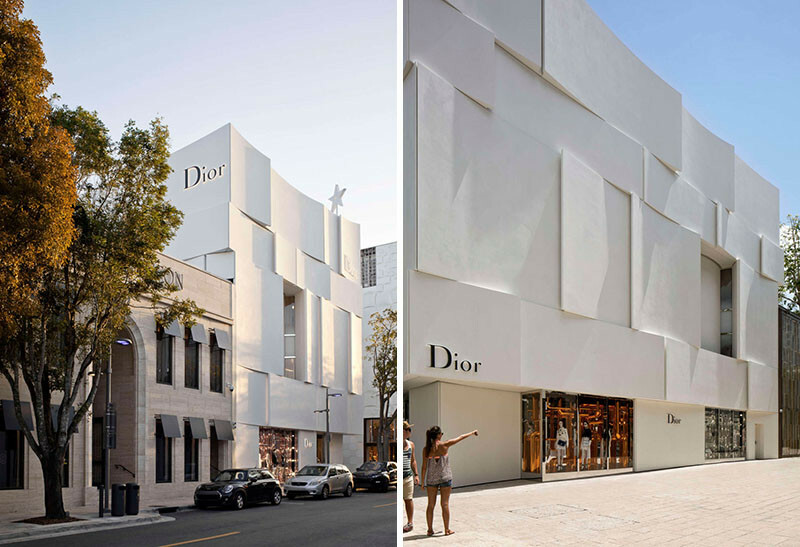 The smooth and delicate facade is made from ultra high-density concrete and a marble powder. 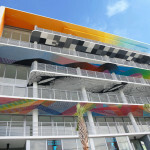 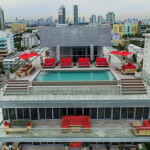 The architects were also influenced by the inspirations of Miami, images of sun and beaches, along with an idea of dynamism, youth, and contemporary design. 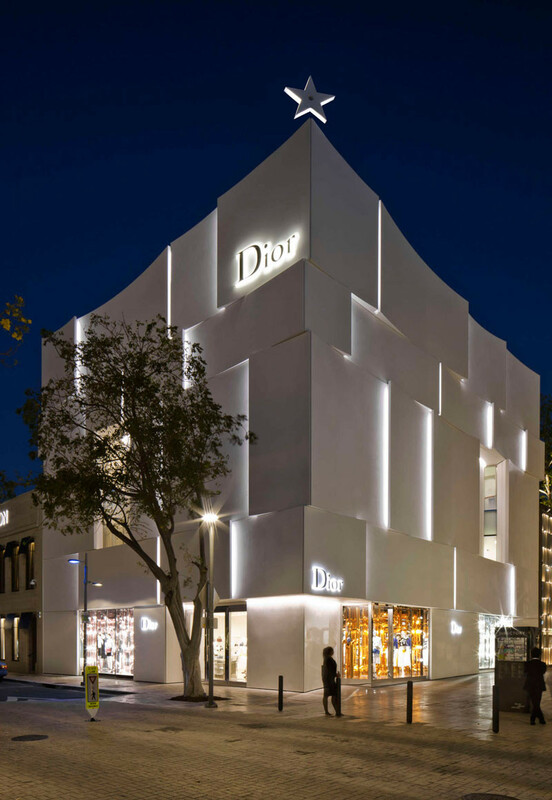 At night, the building is lit up, with lighting appearing from the ‘cuts’ of the facade. 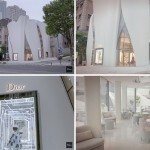 windows that are visible when walking past. 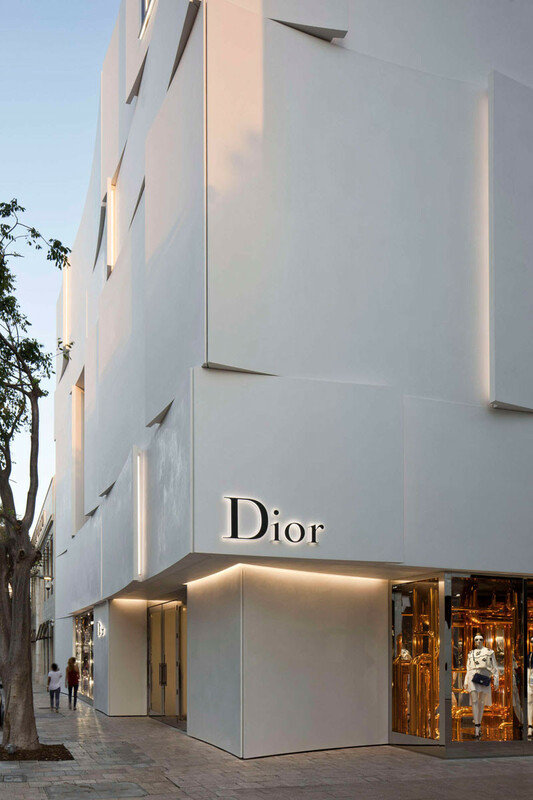 Upon entering the boutique, you can make your way up to the rooftop terrace, where you can enjoy the view and relax after a busy day shopping.